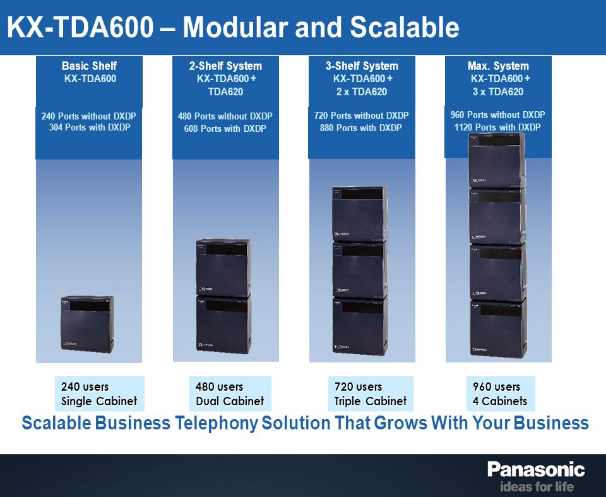 The New KX-TDA600 is a hybrid IP PBX system to fulfil customers requirements today and into the future. It can be configured to meet their present needs and expand as their applications grow or change. features of your central communication platform.